Success can be a "piece of cake" when you implement the right POS System into your bakery business. To make the transition even smoother, bakery owners should research and think of investing in a customized Bakery POS System. Up-sell and Cross-sell - A great way to make profits increase is by up-selling and cross-selling bakery products. Unfortunately, most employees don’t always remember, or sometimes even try to do so while assisting customers. 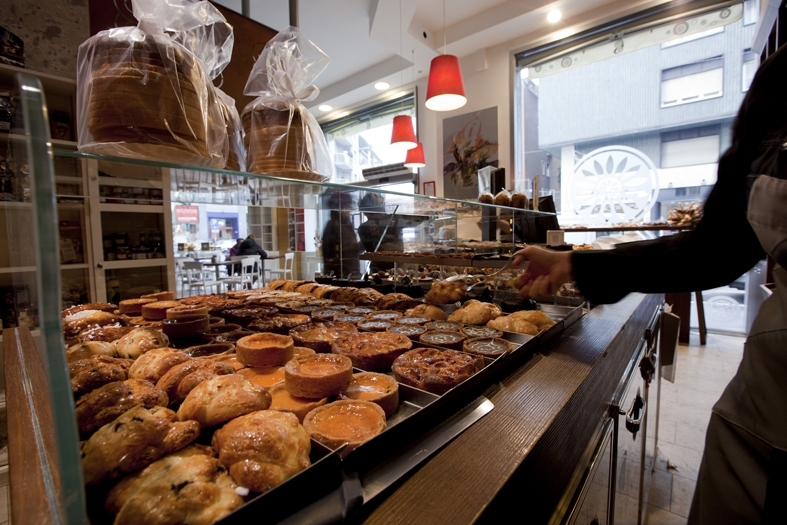 A bakery POS system can be configured to remind staff to engage in suggestive selling as they ring up bakery sales. With this technology at their fingertips, employees working at the counter will, have no difficulty proposing that a customer who is buying a small cake purchase a larger one instead, or suggest an individual ordering sandwich bread to take home a muffin or other desert. A bakery point of sale solution also supports up-selling and cross-selling when color images or advertisements displaying different baked goods are captured in the software & featured prominently on integrated customer-facing point of sale displays. 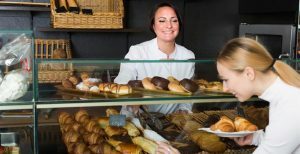 Building Customer Relationships - A customized bakery POS system allows users to record and track customers’ purchase histories and preferences, keeping track of current sales trends of customers. The more knowledge bakery owners have about each consumer who frequent their business, the more easily they can engage customers and create relationships with them by adding a personal touch to each shopping experience. Customer Order Tracking - A bakery POS eliminates the need to decipher handwritten notes and lets you keep all the necessary information pertaining to each special order information in one place, for a hassle-free experience every time. Not only is this beneficial for owners and employees, but customers also reap the benefits of this perk as it alleviates errors on returns or questions on past orders. Inventory Management - The inventory control module of a bakery POS solution keeps customers happy and supports strong sales by letting you set minimum inventory levels, displaying warnings about eventual shortages and automatically creating re-orders based on user-defined parameters. Another benefit of this system is of high priority to all successful bakeries. Raw ingredient waste is eliminated when historical data kept in the bakery POS system is used as the basis for determining raw order quantities. 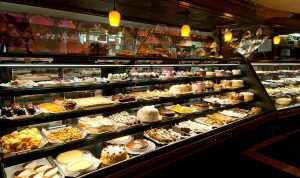 With a bakery POS, you will never find yourself with spoiled cream or rotting eggs because of human ordering errors. Back Office Benefits - Your back office can be just as efficient as the front with a bakery POS system by implementing a number of back office capabilities. These include order generation, labor scheduling and management, and sales reporting and reconciliation. With the right vision, ambition and staff, it's not too difficult to open a bakery shop. However, running a successful bakery will require all of the above, plus a Bakery POS System.